I only accept physical cards paid in cash. Please follow my trading rules and I will release BTC faster. (3) If I don't accept your receipt, please don't upload a gift card. (4) I don't accept receipts printed from my computer. (5) Please check if your receipt and gift card are clear and complete before trading. (8) The picture must be clear and complete, and the picture of the card and receipt needs to display all four corners. If you do not comply with the terms of the transaction, please do not attempt to open the transaction! 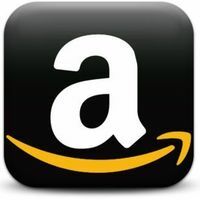 Bitcoins de Paxful Comprar bitcoins con Amazon Gift Card Compre bitcoins con Amazon Gift Card por USD Producto #: :is_hashed 5 comentarios positivos, basados en 1 reseñas 5 comentarios positivos, basados en :feedback_total reseñas $7368.26 USD Ahora Disponible en: BrilliantTenda En línea. ¡Comprar ahora!